EASY TO HANG: A set of hanging strips is included to hang your funny signs in any interior as soon as you get them. 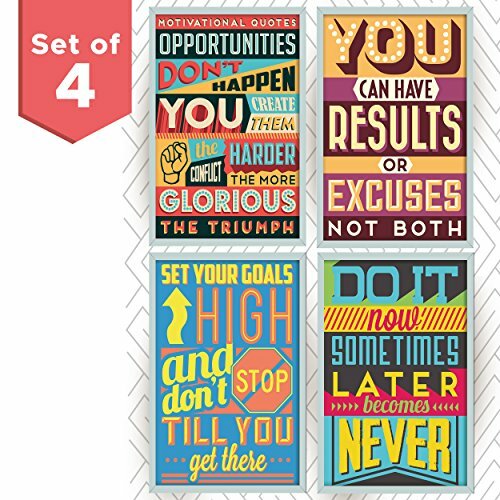 GET MOTIVATED: Great as motivational quotes, inspirational quotes for college, sports posters or man cave decor. UNIQUE DECORATION: Great gift as decoration for kids bedroom, teen bedroom, office poster, good vibes signs, or wall decor.